The EDies committee was established to provide a process that honors exemplary practices and excellence at the Elementary, Middle, and High School levels throughout the Granite State. The application process will help you and your school team engage in a collaborative and self-reflective dialogue focused solely on continuous improvement and excellence in education. 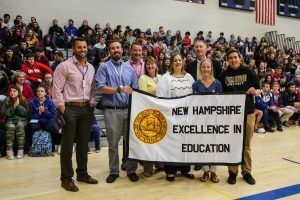 The winning school at each level will receive state-wide recognition as the EDies School of Excellence, $2,000, a school banner, and a beautifully engraved school bell signifying excellence in education! 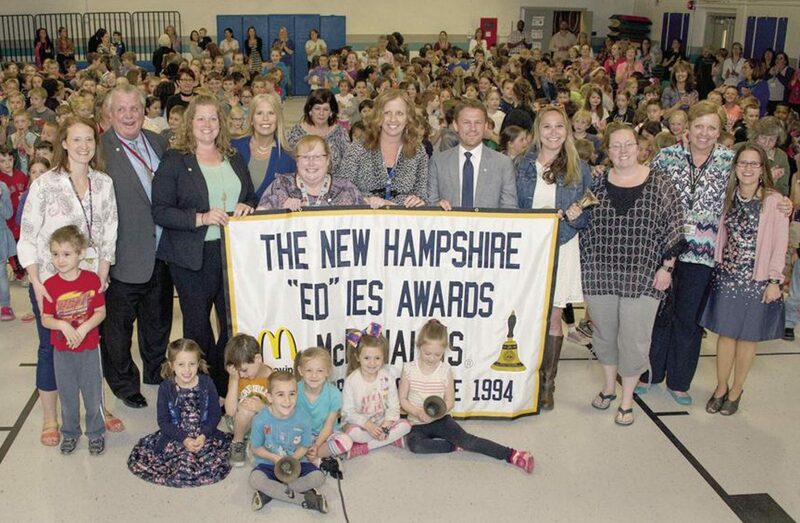 McDonald’s is proud to partner with the EDies to award each elementary, K-8, middle and secondary School of Excellence $2,000. As you begin your process, remember that we are available to support you as you develop your written response, should you have any questions. I want to assure you that the application will contribute to your school’s culture of excellence. 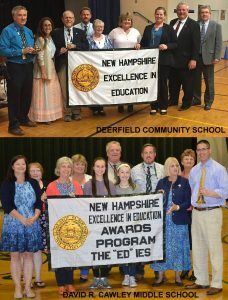 There is so much to celebrate in our New Hampshire schools! We hope that the process outlined below encourages you to apply for the EDies award. We look forward to receiving your response and sharing it with the selection committees for this school year. THE DEADLINE HAS BEEN EXTENDED UNTIL JANUARY 4, 2019! Applicants will need to submit no later than December 4, 2018 a written response that does not exceed 5 pages in length (use a standard 12 point font with 1 inch margins). Applicants will be assessed against the following competencies. Please provide a description of how each are met or addressed at your school. The curriculum and instructional practices are presented in a rigorous, relevant and engaging learning environment. The school organizes community members, ensuring they all have a role in building the school’s climate and culture. The school’s vision, mission and goals are clearly articulated, well communicated and guide practice. The school has an effective system for utilizing data and information that supports personalization. 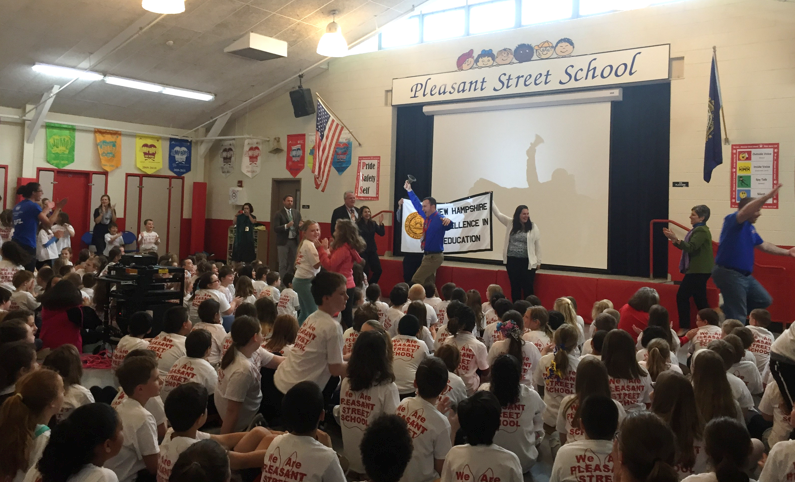 There is a culture of empowerment among students, staff, teachers, administration, and community members. *Please clearly identify each area of your response and number all pages. Remember to include the name of your school, contact person and phone number. Step 2: The EDies Committee will notify all schools that apply by January 15, 2019 as to whether or not they will be invited to present to the selection committee. Step 3: Presentations to the selection committee will occur before February 28, 2019 and will be 30 minutes in length with 15 minutes for questions/answers. The time and location will be announced at the time of notification. Step 4: All schools will be notified by March 12, 2019 as to whether or not they will receive a visit from the selection committee. Date and time of the visit will be announced at that time. 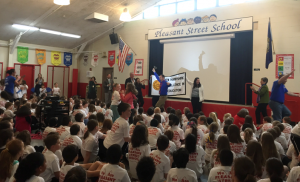 Step 5: Visits will take place by April 27, 2019 and will be at least a half-day in length. Exact times are to be determined. 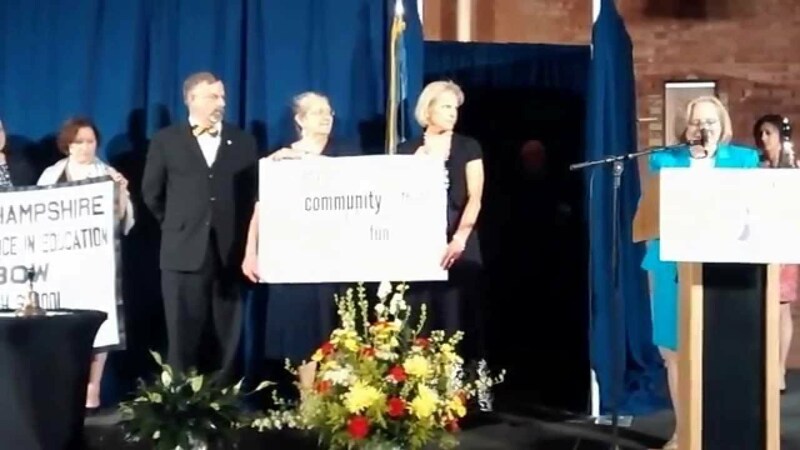 The Awards Ceremony is tentatively scheduled for June 8, 2019 at the Center of New Hampshire. We look forward to receiving your application.